Two thousand, three hundred and two Martian days. 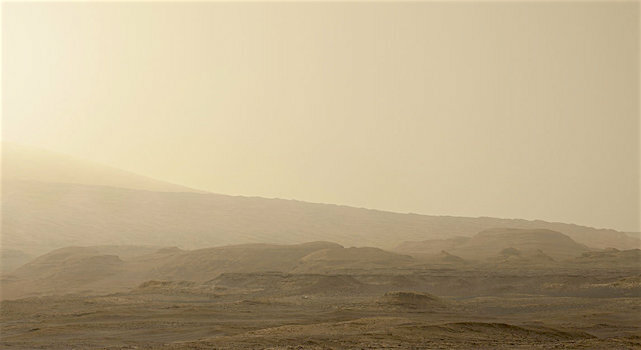 That is how long it took from landing day for Curiosity to reach the “clay-bearing unit.” The clay-bearing unit is a region at the base of Mount Sharp where Mars Reconnaissance Orbiter spotted unmistakable signs of a potentially habitable ancient environment, clinching the choice of Gale as Curiosity’s landing site. It’s the green stripe on this map, which was instrumental in the selection of Gale as a landing site. Of course, Curiosity has discovered lots and lots of evidence for ancient habitable environments in Gale — not to mention plenty of clay — on its way to the clay-bearing unit. But it’s a relief to finally get to the place that the team has been looking forward to for so long. On the map below, Curiosity crossed into the clay-bearing unit at the little square at sol 2302. This entry was posted in Reports and tagged Aeolis Mons, CBU, clay-bearing unit, Curiosity, Gale Crater, Mars Science Laboratory, Mount Sharp, MSL, Murray Formation, NASA, Vera Rubin Ridge. Bookmark the permalink.